The AQ9340, AQ9436C and AQ9440C are required. 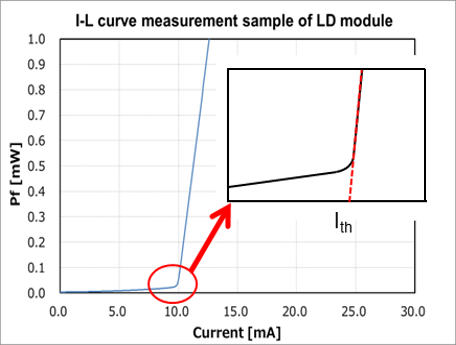 The I-L curve, drive current – optical power characteristics, of laser diodes can be measured accurately, quickly and seamlessly. Because, the single-range power range of the new sensor head is as wide as 30 dB. It enables to measure signals close to a threshold value at high resolution without changing the gain of amplifier circuit which takes extra time. In experiments of free-space optics, optical parts are set on an optical bench or a breadboard, and the adjustment of optical alignment is most time consuming work. 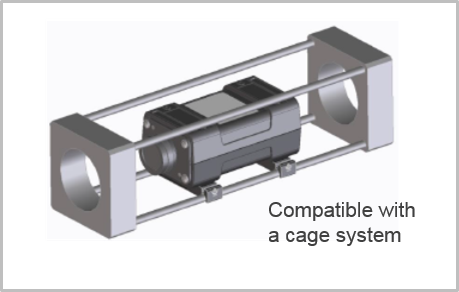 The new optical sensor head is compatible with the 60 mm cage system. It make it easy to build a optical experiment systems by combining with various cage system parts in the marketplace.